Mechanic Man has always been supportive of my interests, as I’ve been of his. But lately he was getting worried that I don’t get to indulge in new toys as often as he does. My sewing machine is a 30 year old Pfaff that my grandmother won, then gave to my aunt, who then gave it to my mum, who then gave it to me about 12 years ago. My overlocker is about 13 or 14 years old and my mum gave it to me at the same time as she gave me the Pfaff. I’ve never owned a new machine. So two weeks ago while the two of us were out he took me to Sewing Machine Services in Petone and this happened. 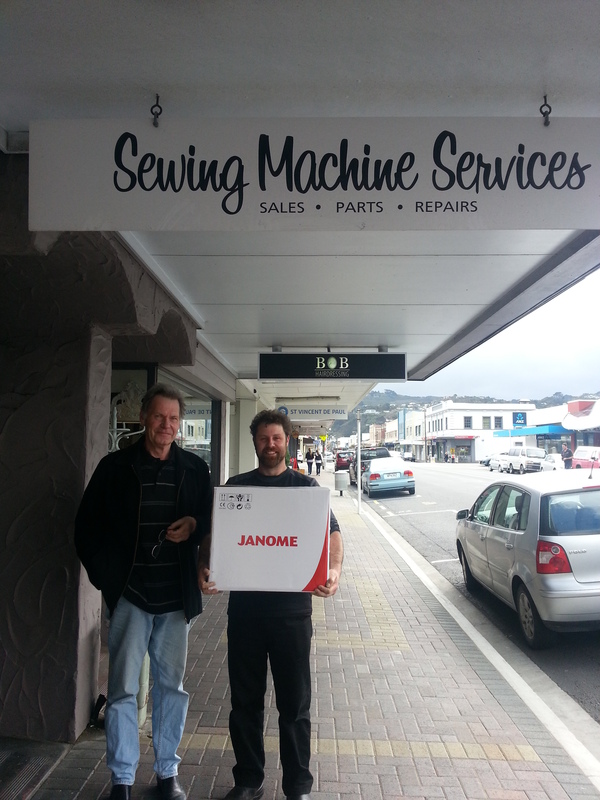 Mechanic Man carrying my brand new Janome 4120 QDC, and Hugh from Sewing Machine Services, just after buying it. 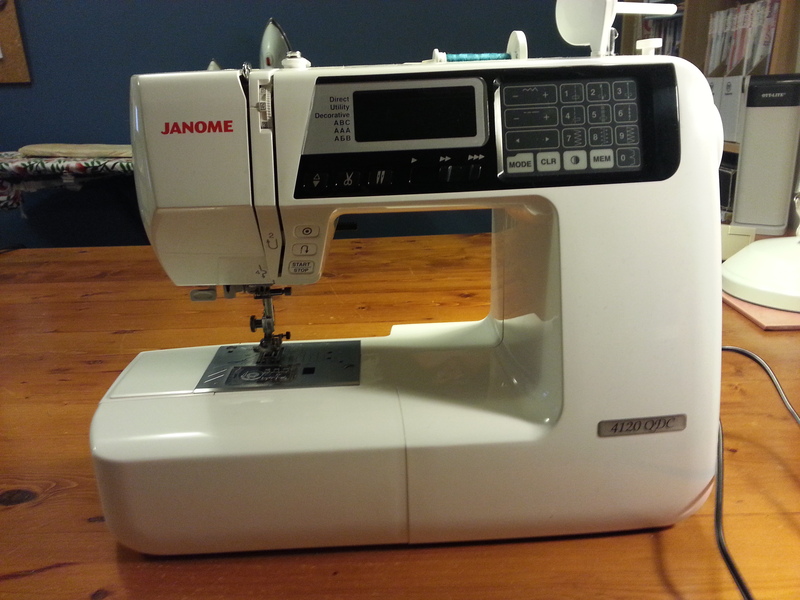 Yep, I bought a new sewing machine, a Janome 4120QDC and I am pretty stoked! Then the following weekend I took my overlocker in for a look over to see how much work was needed to get it going well again. And the the weekend after that I went back again to hear the verdict and this happened. 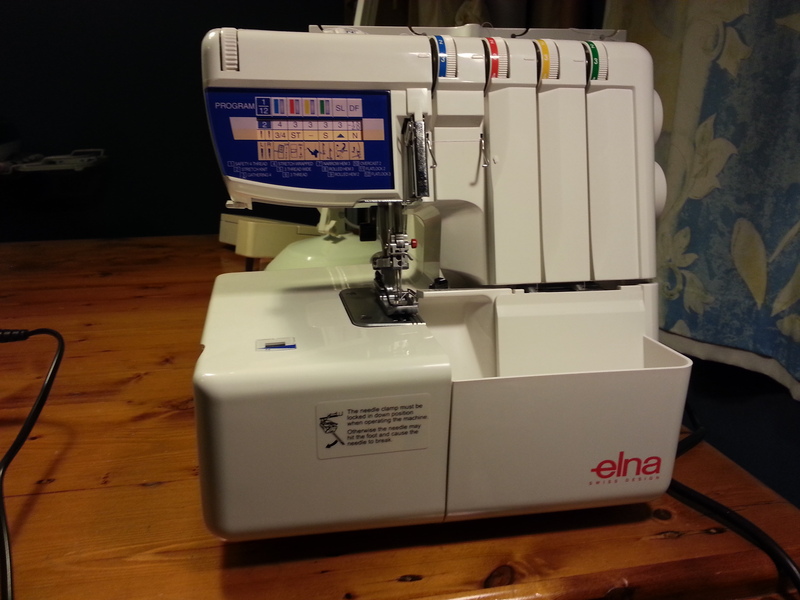 That’s a new Elna 664 Pro overlocker. Yep, in two weeks I bought two new machines. 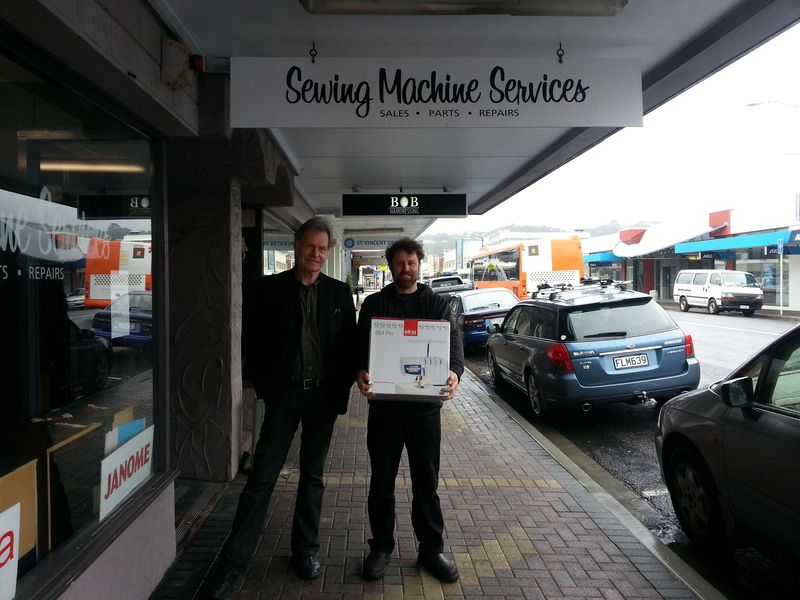 Thanks to Hugh at Sewing Machine Services in Petone, a great wee place if you’re in the market for a new machine! None of this was really planned. But I’m very excited about it all! The very first new machines I’ve ever owned! And who knows – I might end up waiting another 12 years until I replace these ones! I’m keeping my Pfaff as it goes great and it’ll be good to have a backup but I traded my old Elna in towards my new Elna. My original Elna actually did pretty much everything my new one does, as it was quite fancy in its day, so although the new one is easier to set up and configure buying it was really just getting caught up in the fun of new shiny things (and I feel a bit guilty about it). 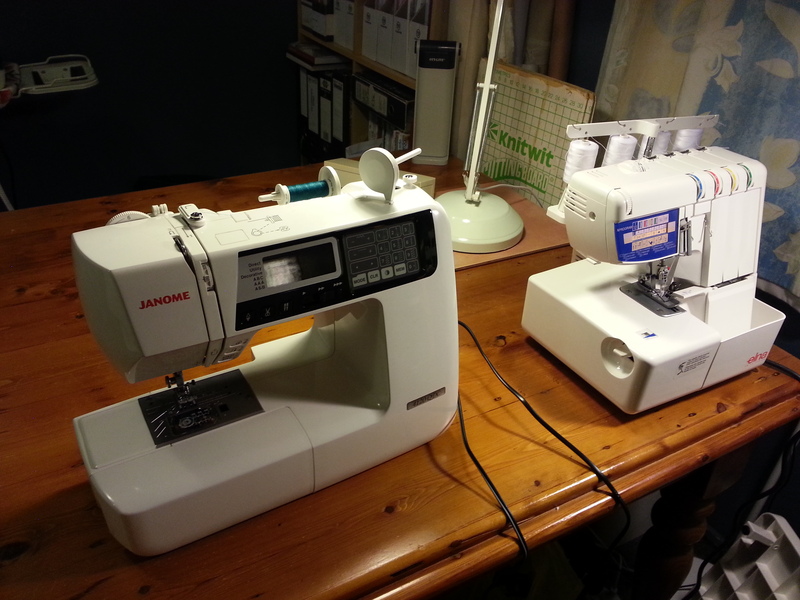 But the Janome has bells and whistles my Pfaff couldn’t even conceive of. Highlights are the one step buttonhole and the lock stitch (which automates back stitching at the beginning and end of the seam) but my real favourite feature is the cut button, which neatly cuts both threads with a touch. 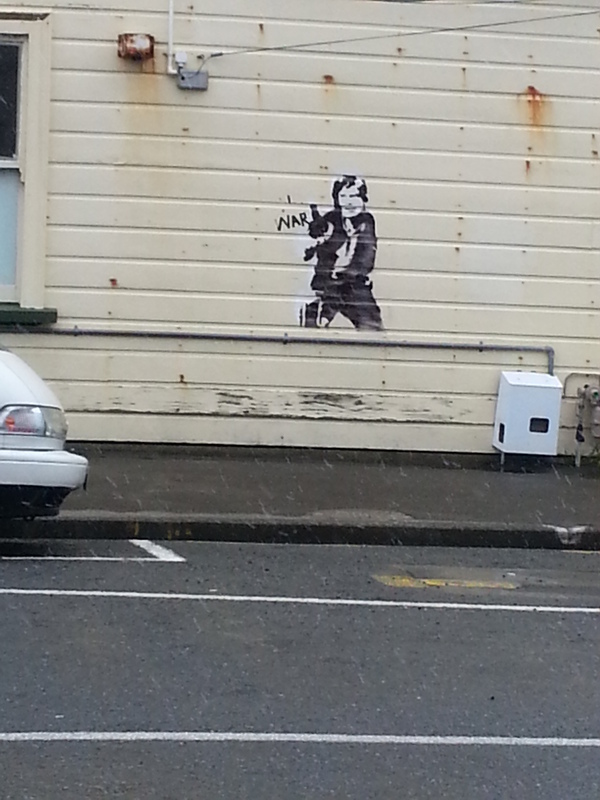 Speaking of, as an added bonus, these were in the side street that we parked in. 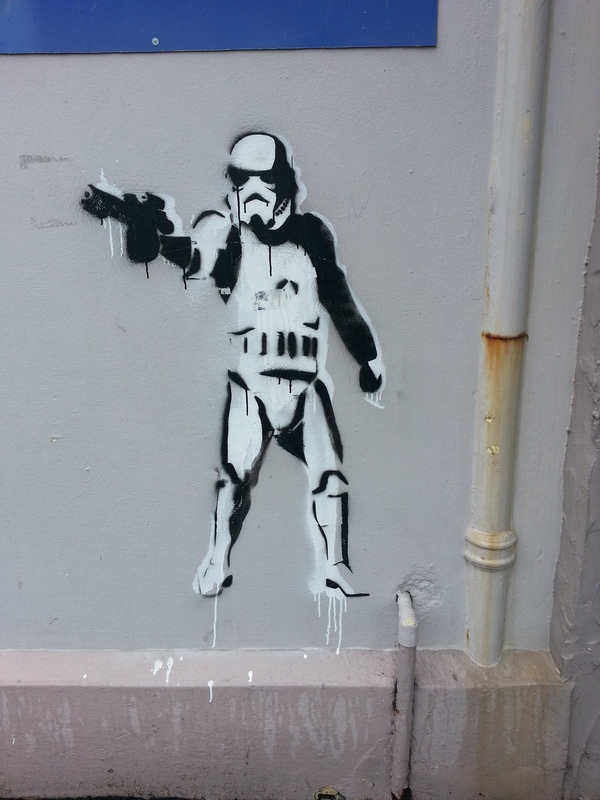 And this was painted across the street! The “war” tag is someone else’s addition though, it wasn’t there the first time I saw this.